Happy Valentine’s Day! A little brotherly love, from Rwanda. See more from our first peace camp. This past weekend, from Egypt to South Africa, there was a celebration of freedom, but also a reminder of the personal cost. We commemorate those who died in the protests in Egypt at the same time as remembering the anniversary of the release of Mandela after a lifetime spent in prison. His story encourages us to persevere, to pursue peace and justice not through violence and retaliation, but rather through love and mercy. It’s a difficult, but beautiful path – and really the only way to truly forgive, reconcile, and live as brothers and sisters in our world. Next month our blog will feature the remarkable story of heroes in Rwanda. 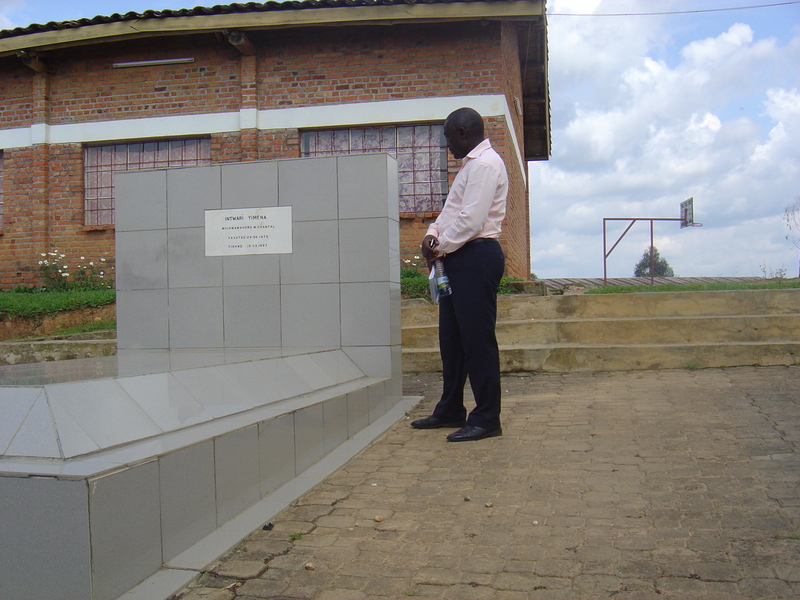 Pictured above: Phanuel visiting the tomb of one of his classmates, Chantal, who made the ultimate sacrifice for peace. Photo taken by our gafotozi. So, this Valentine’s Day, we send love to all youth working for peace. You are the true heroes today. We love you. Keep up the good fight! Join us! Instead of chocolates or flowers, how about giving seeds? Help plant more peace and love in Rwanda. Donate today for our next youth peace camp, November 2011.
p.s. 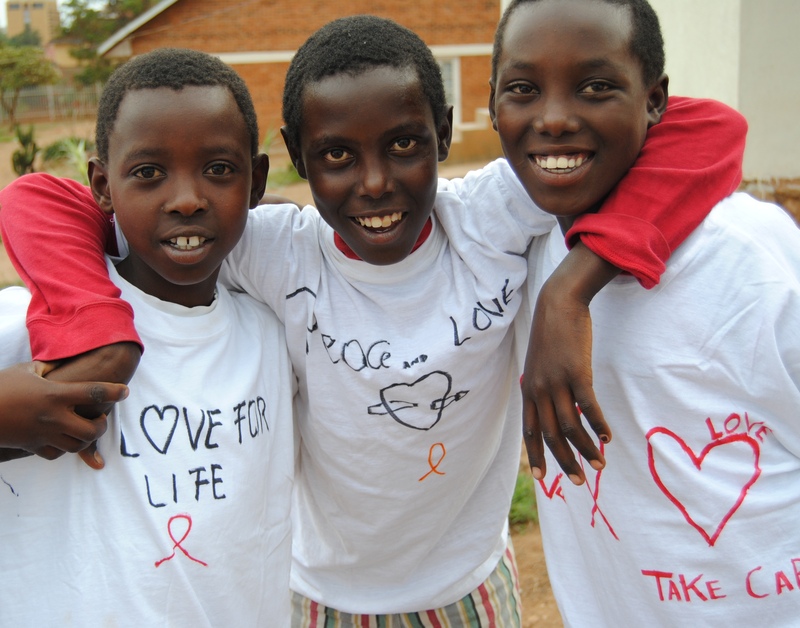 “brotherly love” photo taken at a youth World AIDS Day event in Kigali sponsored by a peace of life…umutuzo mu buzima.